If you are simply a home owner, a developer or run a business, then you will be faced with moments when you want to make big moves and grand decisions. Perhaps you desire to branch out your operation, include a bed and breakfast or simply want to shake up the status quo. Whatever the scenario may be, you will need to source a qualified builder or carpenter to get the job done. 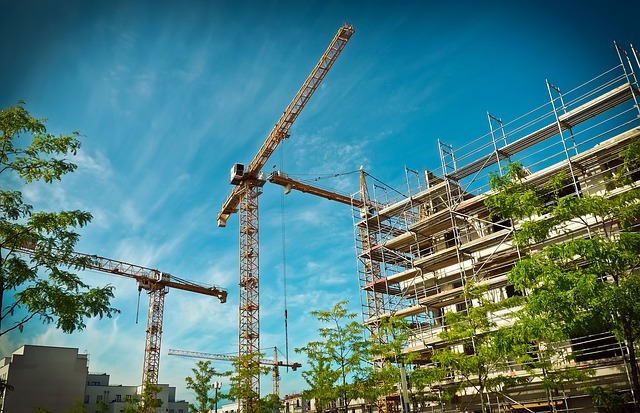 This is where a scaffold will come into play as the professional in conjunction with their team will require a short-term and provisional structure that allows them to manage the task with efficiency. The benefits of erecting a form of scaffold are evident for individuals who see the process in action on a daily basis. First and foremost, it provides safety for the builders who need to maneuver around brick, wood, steel, piping, wires and other elements that pose a safety risk. Then there is the element of efficiency that allows for a greater freedom of movement where builders start, continue and conclude their project on schedule. All forms of roadblocks can emerge during the building process, from the weather to financial impediments and beyond, making the need to craft a structure to hasten the project all the more necessary. So what are some instances where these constructs would have to be erected? Here we will offer a rundown of some key moments when an owner from a residential or commercial background will need their support. Those who are investing thousands upon thousands or even in the millions to billions category will naturally require a scaffold structure that supports their monumental project. With heavy concrete slabs introduced into the mix, there will be shoring forms that cater to different levels. There could also be the use of systems scaffolding whereby a series of components are placed together in a pre-constructed fashion. In these instances, the transport and loading of the elements are a serious concern and must involve an entire party of workers understanding the task at hand. Anyone who has had experience building a humble home will understand the challenges, difficulties and intricacies that are involved. Once the blueprints are draw up, it will be at the discretion of the builder to decide which form of scaffold will suit the situation and scale of the home the best. From a tube and clamp structure that is easy to develop and pack down at the conclusion of the project to a cuplock system that can support heavy and light loadings, there are options at hand. The profile of the builder and the scope of the house will outline how this is developed. Should a house or office need to branch out to have a new room or location, then there will be a scaffold that is supported by the adjoining premises. A Haki design that is light and easily maneuverable is one choice, as is Kwikstage model which is often favoured by Australian builders. If a garage, shed or outdoor facility needs to be built, then the scaffold should reflect the more modest demands placed on the builder. They can be lighter in weight and more sturdy when it comes to exposure to weather conditions. A suspended or swing set might be ideal under these circumstances or a bamboo/wooden scaffold architecture that is a favourite of Asian manufacturers. The art of the scaffold has been developed over centuries and can be traced back to ancient Egyptian cultures. The joy of these developments is that a scaffold can suit any condition when it comes to construction. From large buildings to small homemade extensions, there are varieties to suit your needs.